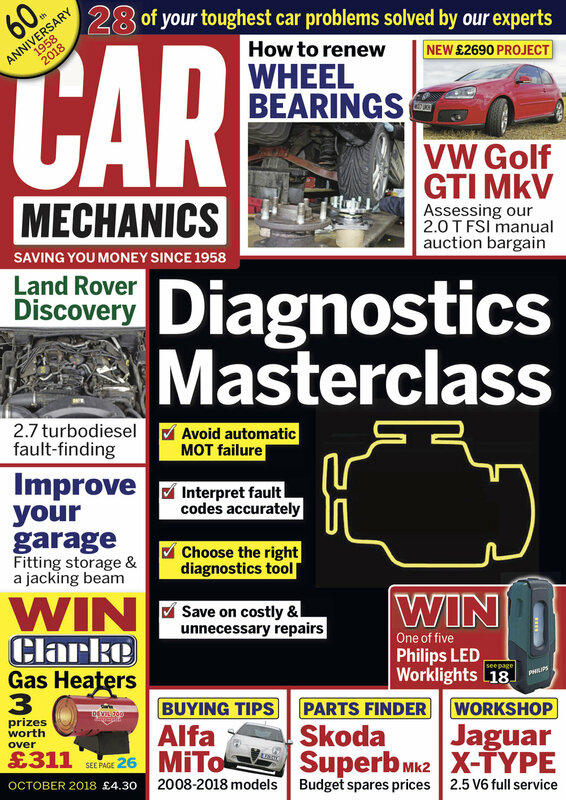 Diagnostics masterclass Learn the skill of reading and interpreting vehicle electronics. Ignition systems How the technology has evolved over time. Workshop health and safety Visiting Castell Safety International. Sensotronic Brake Control How it works. Vauxhall Insignia 2.0 CDTi Part nine: Renewing the front brakes and rear coil springs. VW Golf GTI MkV Part one: Introducing our £2690, 108,000-mile auction purchase. Alfa Romeo MiTo Buying the best. Skoda Superb Mk2 Sourcing new and used parts. Renewing wheel bearings Sorting this common problem. Project Garage Part five: Organising storage areas. Land Rover Discovery 2.7 V6 diesel Electronic diagnostics. Dealer's Diary Steven Ward goes American. Our Cars Craig Cheetham’s Fiat Punto and Steve Rothwell’s Honda CR-V. WIN Gas Heaters Three prizes worth more than £311.